The movie is often called "Nom-nom-nom" (놈놈놈) in Korean. With the Korean Peninsula under Japanese rule in 1930s, many Koreans flock to Manchuria for refuge. Some become bandits, some train robbers and yet others bounty hunters. While the Weird, a notorious train robber, is stealing from a Japanese train crossing the Manchurian plains, he discovers a treasure map. But the map is also sought after by the Bad, a merciless gang leader. Coincidentally, the Good, a bounty hunter, is on the train, and he is after the Bad. 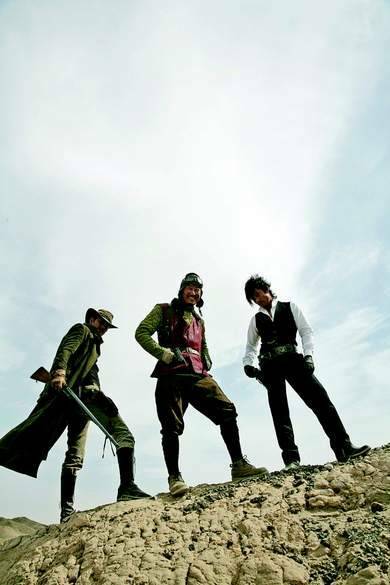 The three engage in a spectacular chase with the Japanese Army, the Korean independence fighters, and the Chinese bandits all looking to get their hands on the prized map. 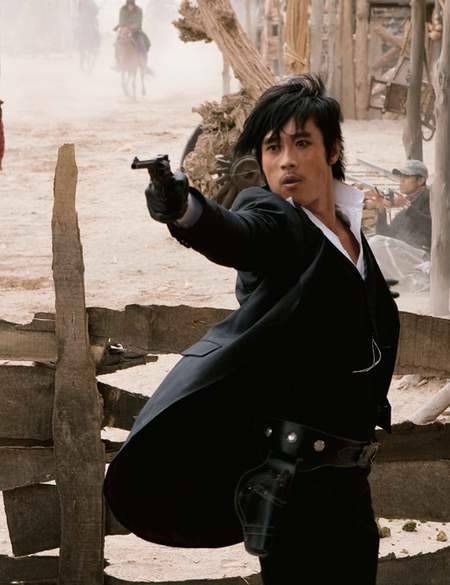 [HanCinema's Hall of Fame Review] "The Good, the Bad, the Weird": Haw Yee for Kimchi Cowboys! [HanCinema's Film Review] "The Good, the Bad, the Weird"
[Guest Film Review] "The Age of Shadows"
[North America] Well Go USA Presents "Memories of the Sword"
S. Korea's Gambling Action Film "The Divine Move" Hits N. American Theaters July 25th! [HanCinema's Hall of Fame] Bong Joon-ho's "Mother - 2009"
Korean movie of the week "Haunters"
CJ Entertainment Proudly Presents "A Werewolf Boy"
[HanCinema's Film Review] Kim Jee-woon's "The Last Stand"
THN's Korean Cinema Style Week 12: Park Chan-wook - "Thirst"
[HanCinema's Film Corner] "The Dark Knight Rises" VS "The Avengers": What does it take to be number one in Korea? Jung Doo-hong "4 colleagues died, I ask if anyone's dead first"
Sitges International Fantastic Film Festival to sail with "The Yellow Sea"
Gang Dong-won says "wants the power to teleport"
Magnolia's Magnet picks up "I Saw the Devil"
Lee Byung-hun says "'I Saw the Devil' makes you think of what you get out of revenge"
Is relentless violence onscreen justified? Korean movies have not been all that foreigner-friendly in the past despite achieving international acclaim. These Canne trophy winning, cutting-edge films were often entertainment only for those who understood Korean. But now, the table is about to turn. He might be offended if you call him the Korean Harry Potter, and pull a Taoist magic trick on you. [ChanMi's movie news] Ki Eun-se main character for "On the Pitch"
A total of 10 Korean movies will be shown at the Cannes International Film Festival from May 13-24, marking the highest number of local films ever to be included in the prestigious event's roster. [ChanMi's star news] Jung Woo-sung gained a bit of weight? 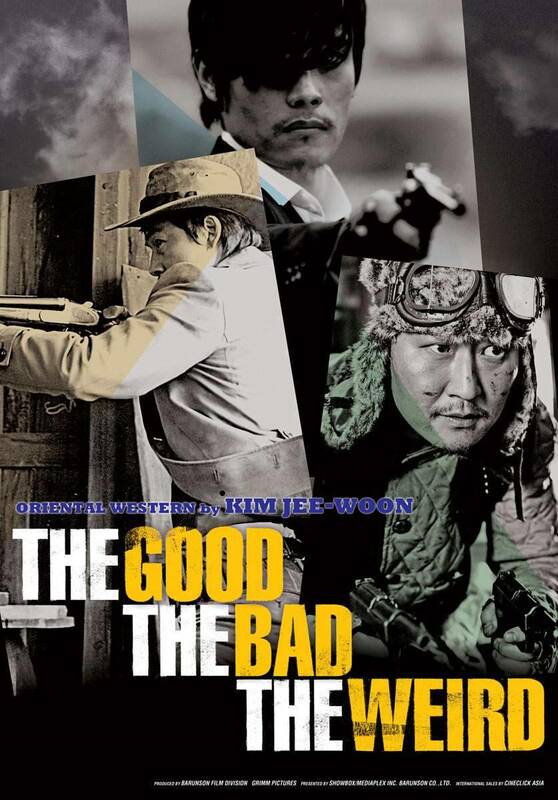 Korean Stars Come under One Roof in the U.S.
[ChanMi's movie news] "G.I, Joe" Lee Byung-hun! Iran's major annual film event, the 27th Fajr International Film Festival (FIFF), held in Tehran, will showcase a retrospective of contemporary Korean films. 13 features produced from the years 2000 through 2008 will screen in the Persian capital, January 30 to February 10, 2009. "Doom and gloom" would be the right words to describe the culture scene in Korea last year ravaged by the global economic crisis that has affected practically every corner of the country. The effects of the economic downturn were especially apparent in the Korean film industry. The New Year has finally set in, with much anticipation that it will be a year filled with blessings. Hallyu stars Rain and Lee Byung-hun will appear in the new two-part documentary series being produced by Discovery Networks. Early this year, there was only doom-and-gloom in the Korean film industry. Major production houses and distributors feared an economic slump would further dampen the market, undercutting the already reduced share of local films. The negative predictions turned out to be largely on the mark. Korean directors picked actor Ha Jung-woo and actress Gong Hyo-jin as the Best Actor and Best Actress for the 11th Director's CUT Awards 2008. [ChanMi's star news] CNN, "Lee Byung-hun = Asian James Dean"
The 29th Blue Dragon Awards was held Thursday night to honor the year's top films and filmmakers. 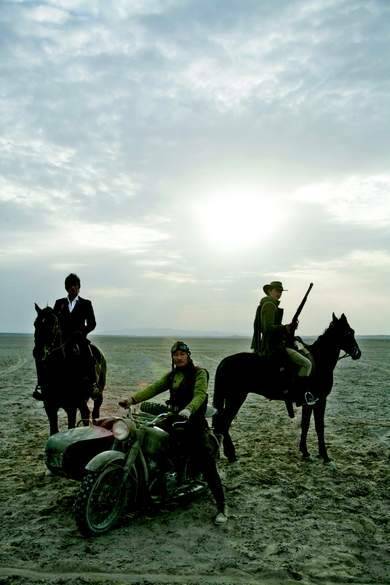 "Forever the Moment", directed by Yim Soon-rye, won the Best Film Award at the 2008 Blue Dragon Awards on Thursday evening. "The Chaser"'s Kim Yun-seok has been nominated for the 2nd Asia Pacific Screen Award's Best actor nod, according to the Pusan International Film Festival (PIFF). Kim Tae-ho-I, 32, is now so famous he is recognized on the street. He is so busy that he hardly has time to sleep, let alone date. 'Modern Boy': Reinterpretation of Japanese Colonialism? Korean movie makers are digging into the past for inspiration. The recent trend in the film industry is all about transforming historic facts and events into fictional stories. [ChanMi's drama news] Jung Woo-sung returns to the TV screens through "City Hunter"
[ChanMi's movie news] "The Good, The Bad, The Weird" tops "200 Pounds Beauty"
[ChanMi's drama news] Lee Chung-ah returns through "Chosun Science Investigator"
According to CJ CGV's July report, Korean movies posted 47.4% of the market share, up 22.2% from the previous month. The number of movie-goers in July jumped more than 21 percent compared to the previous month to 17-and-a-half million. Korean movies in particular accounted for half of total screenings nationwide last weekend. That's a rebound from their record low of 7 percent in May. "The Mummy: The Tomb of the Dragon Emperor", one of Hollywood's summer blockbusters, sold 2 million tickets in the five days since its release, its local distributor UIPKorea said yesterday. When you hit rock bottom, there's no other way but up. There he stood, oblivious to passers-by staring at him. One hand resting on the door, looking up with a faint smile, he looked ineffably cool -- rather than "good" in his new movie. [Interview] Jung Woo-sung "I feel like I'm a man now"
"I just filmed it excitedly? That's all a lie". 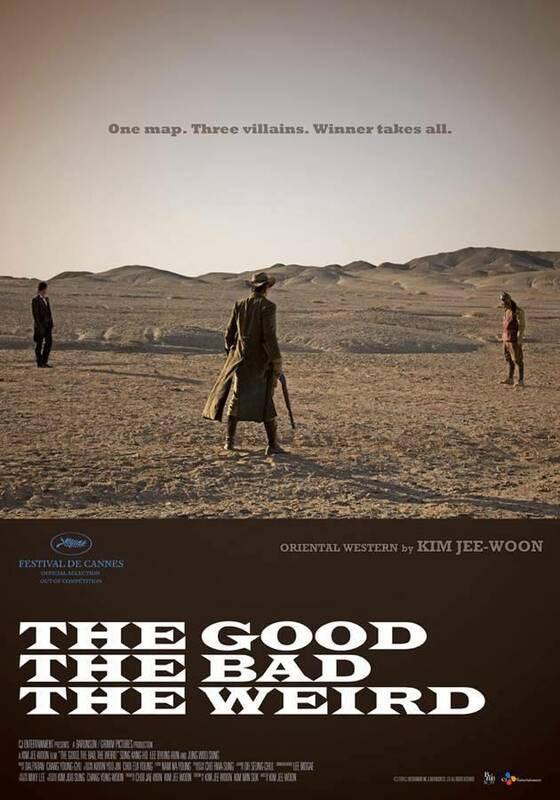 [ChanMi's movie news] "The Good, The Bad, The Weird" coming to USA! Two genres - the melodrama and the romantic comedy - used to do very well at the box office. The Korean Film Council (KOFIC) will be engaged in diverse efforts to promote Korean cinema at the upcoming Cannes Film Festival. Top Hallyu star Lee Byung-hun is set to launch a large-scale film-screening tour in Japan. 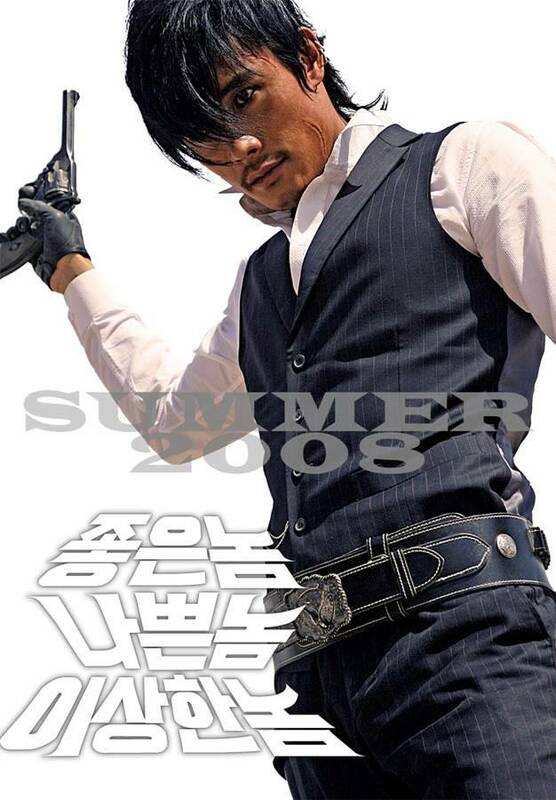 BONG Joon-ho to Switch Pace with Crime-drama "Mother - 2009"
Gyeongseong is emerging as a popular background for Korean films, reflecting the public's recent penchant for retro style, and filmmakers' newfound interest in the Japanese colonial period -- evidence of their quest for fresh characters and themes. CGV Yongsan in central Seoul will devote a screen to the exclusive showing of popular domestic movies with English-language subtitles, an unprecedented move by a movie theater. 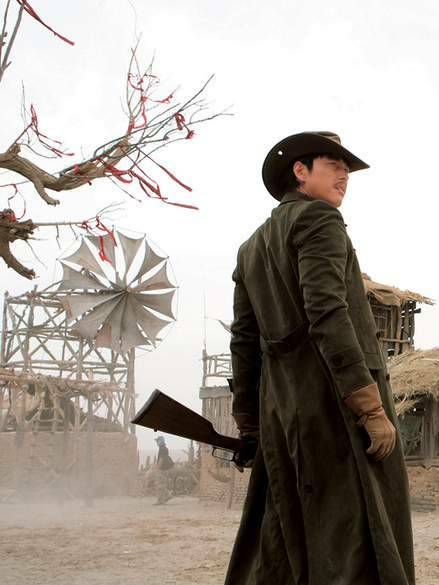 Upon the spirits of the New Year 2008, the Korean films are preparing a big counterblow against the Hollywood films. One after another, the talented veteran directors are coming back with a huge bag of New Year's surprises for the movie fans. Brokore Magazine No. 14 "Jumong"'s Song Il-gook! Looks like the year's first half was a disappointment for Korea's film industry, especially since the strong performance of domestic blockbusters like "The Host" last year. View all 45 pictures for "The Good, the Bad, the Weird"